Community BOO! Welcome Back to the Unchained Costume Spooktacular! ...Sorry? "Union...Cross"? What's... Oh, never mind; that sounds silly! 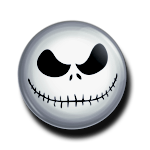 Welcome back to the Unchained Costume Spooktacular, everyone! As you might imagine if you've not participated before, this is a costume contest! We will have five categories for entry: Coolest Costume, Silliest Costume, Cutest Costume, Scariest Costume, and Strangest Costume! Dress up your avatar in Kingdom Hearts Union x to fit whichever category you want to enter, take a screenshot, and post your picture in the respective thread! Oh, but don't be lazy and just equip an existing costume set for your entry! We all know what those look like; put a little creativity and effort into your entries! Mix and match things up! You can only enter one costume in each category, but you can enter in as many categories as you'd like! You'll have from today until 11:59pm Pacific Time on October 28 to submit your costumes! And on Halloween night itself, October 31, the winners will be announced! You site members as a whole will be able to select their own winners by casting votes with Post Ratings! You can use a Like to give an entry one point, or a Creative to give an entry two points! Your votes are limited, however; you can only cast one Creative and two Like votes in each category! Costume voting will end at 6:00pm Pacific Time on October 31. While this goes on, we've rounded up five judges who will judge your entries as staff selections! Say hello, everyone! Hello! It's lovely to see you again! Heheheh! Got any candy for me? Yes, yes, hello. Where did I leave that scalpel...? Some of our judges may also be submitting costumes, but will only be eligible for the Member Selection, to keep things nice and fair. The top Judge and Member Selections in each category will win this handsome-looking pin to add to their collections! And let's be honest, who wouldn't want this lovely piece of memorabilia? Hmm? Remember, entries are open from today until 11:59pm PT on October 28! Use the 29th, 30th, and the beginning of the 31st to cast your votes! Put together the most perfect costumes you can and submit your entries here! I can't wait to see what you come up with! First, we'd like to apologise for the short notice regarding the downtime and the longer than expected transfer period. We ran into some complications during the move that made the process take a bit longer than we anticipated. With that out of the way though, I am pleased to announce that the move to our new server was successful and that you should start noticing a number of improvements on the site from here on out. - Receiving all notification emails from the site, without having to look through your spam folder. - Being able to access the site from more connections, such as mobile data and work or school connections. This server is also more affordable than our previous setup, so there will be more room to pay for other site improvements such as addons. Hopefully the effects of this will be visible in the near future. Again, our apologies for any inconveniences caused by the site downtime, and we hope you all enjoy the new and improved KHV experience! At long last, our cutscene archive is complete. We're finishing things off with the scenes from Kingdom Hearts Final Mix on PS4. I used the new "Theater Mode" that was added to 1.5+2.5 to smooth out a few audio transitions, but that aside, all audio/video was captured in-game. Make sure to check out the "Extra + Alternate Scenes" file as well. There's tons of bonus content, like summon animations, secret bosses, miscellaneous short clips, and some rare alternate scenes that many of you have probably never seen before. Oh! And while we're here, if you previously downloaded the cutscenes from Kingdom Hearts 0.2 Birth by Sleep - A fragmentary passage -, I suggest you re-download the two scenes "Forest of Thorns" and "Ending". I made some further edits to reduce the stuttering in those scenes. And that's that. We eagerly await the release of KH3, but for now, do what you will with these vids. Big thanks to @libregkd for updating our Cutscene Archive as it continued to grow. Hey guys! For those who have never participated in the User Awards, or need a bit of a reminder, there are two phases: nominations and polls. A user will not appear in the final polls without first being nominated by their peers, so if you want to see someone in the poll, make sure you nominate them! Before we begin, make sure you’ve read the general info on the User Awards. If it has left your questions answered, shoot me a message or post in this thread before nominating! Community KH-Vids Annual User Awards: Category Suggestions Are Open! Hey everyone! Summer's here, and if you've been a member here for at least a year, you know what that means. 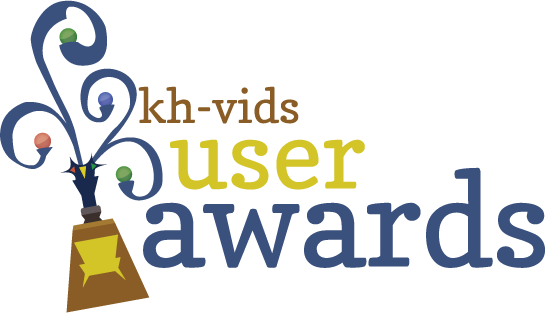 If you're a new member around the block, or just haven't noticed them too much before, the annual KH-Vids User Awards is finally here! Join us in a friendly, unserious (yeah right!) competition to elect members and content for a variety of categories. Nominations are quite a ways off at the moment, but we are accepting category nominations up until July 16th! After this, the Awards will kickstart and the fun can really get going. For more information on how the Awards work, please see the Info & FAQ thread. To submit categories, please see the Category Suggestions thread! If you have any questions, please message Plums, and I'll be more than happy to get back to ya!